When we booked our hotel in Osaka, we hadn’t been planning to stay in Osaka at all. In fact, it wasn’t even on our Japan itinerary. It was the hotel prices in Kyoto that pushed us to nearby Osaka – and I’m really glad it did. The only thing I would have done differently is giving more thought to where to stay in Osaka. Osaka is the second biggest city in Japan but feels a lot more manageable than Tokyo. That said, choosing where to stay in Osaka can completely change your experience. Here’s how to find the right place for you. Like the rest of Japan, Osaka has lots of options when it comes to accommodation. From globally recognised hotel chains to traditional Japanese inns, there’s no shortage of places to stay. Osaka has plenty of hotels to choose from, but they don’t come cheap. For a stay in central Osaka, you’re looking at anywhere from $50 to $250 per night if you want to stay in a hotel. The best place to book a hotel in Japan is on Agoda. Check the current options and availability here. Guest houses are a popular accommodation option in Japan. One advantage of choosing to staying in a Japanese guest house is that you’ll have a more personal – and more authentic experience. The other benefit is that it’s often cheaper than a mid-range hotel. Hostels also tend to fall into the guest house category in Osaka, although Japanese hostels tend to have more private rooms than elsewhere. 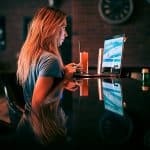 Keep this in mind while searching for a good hostel (or if you want to avoid one!). 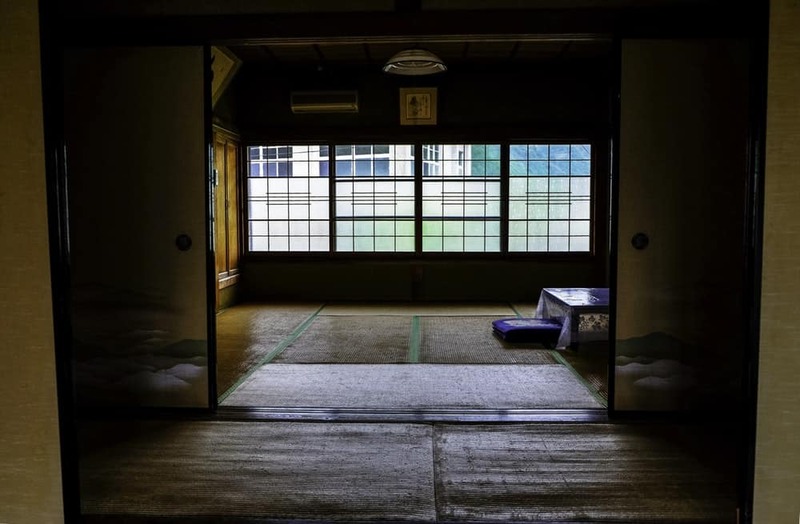 A traditional ryokan is something every traveller should experience during their first time in Japan. 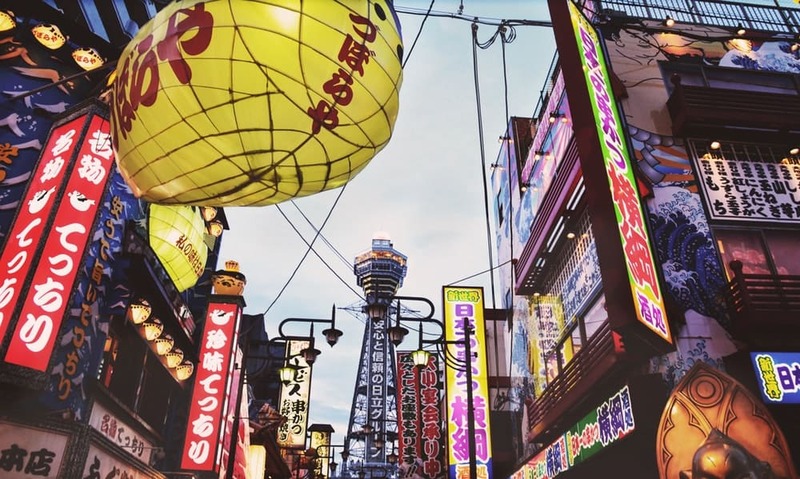 If you’ve never stayed in one before, Osaka is one of the best places to do so. Look for one with an onsen (natural hot springs) attached if you can – just make sure know the rules of the onsen before you enter! Here are 10 of the best ryokans to consider. Airbnb is the best way to get a modern Japanese living experience. While the guest houses and ryokans will give you the full traditional travel experience, Airbnb will show you what it’s like to really live in Japan. Apartments tend to be small and compact, but you’ll get a true taste of Japanese city living. Capsule hotels are beginning to spread all over the world, but the craze started in Japan. Osaka has plenty of capsule hotels, which are a bit like grown-up hostels. They’re comfortable enough for a night, so book into one if you have an early flight or just one night in Osaka. Find an available capsule hotel on Agoda. If you want the most authentic taste of Japanese life possible, consider a homestay. Homestays can cost less than other types of accommodation and will give you so much more than somewhere to sleep. As well as getting to meet local people living in Osaka, you’ll get to learn about their lifestyle. The best place to find a homestay is on HomeStay.com. RELATED READ: Travelling to other parts of Japan? Check out this list of hotels in Japan to find the best place to stay. Branching out over 223 squared kilometres, there’s a lot of city to choose from in Osaka. Here’s how to choose the right place for you. Kita is the most popular area of Osaka for visitors to stay in. It’s a centrally located area that has fantastic transport links both around Osaka and out of town. It’s also a popular entertainment district, with plenty of restaurants and shops to keep you busy. Minami is another central transport hub. Although its transport links aren’t quite as good as Kita’s, the shopping and restaurants are arguably even better. If you want an area you can spend lots of time exploring, this could be the best option. 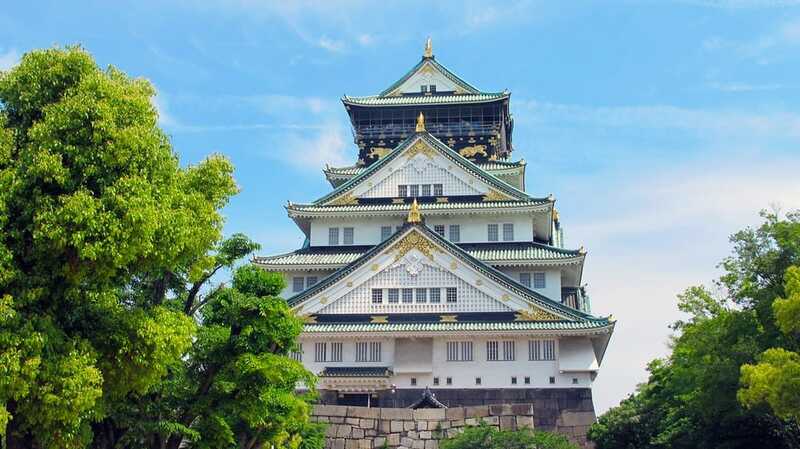 Osaka Castle is popular with visitors who want to enjoy some green space while in town. It’s a short subway ride into Osaka, but a beautiful and affordable place to stay. 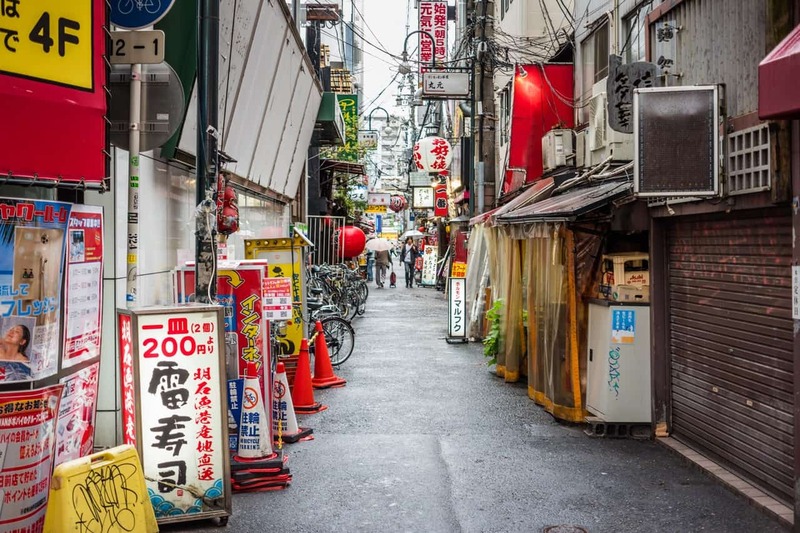 Tennoji is a less popular but more affordable area to stay. It isn’t connected to the JR trains and major train lines, but it’s only a short subway ride away. If you’re happy to compromise on the location, you’ll save a good amount by staying here. There isn’t one best place to stay in Osaka. It will completely depend on what you’re hoping to do while you’re there and, to some extent, how long you’re staying for. If you want to be in a good location to travel around Osaka, any subway line will do. If you really can’t decide and like to walk, stay in Central Osaka (Honmochi). You’ll be able to walk to the most popular districts AND be by the subway. If you’re flying in and/or out of Osaka, it might be best to stay in the north of the city. If you’re planning some day trips, staying near one of the JR lines will be your best bet. Even though the subway lines are well connected, you’ll have to plan your days well to make it work. Even a 30-minute subway ride, once you add the return journey, will take at least an hour out of your day. Look for somewhere near Shin-Osaka or Umeda if you plan to visit Kyoto from Osaka. As I already mentioned, we chose to stay in Osaka out of necessity rather than choice. But it didn’t turn out to be a bad idea at all! The journey to Kyoto from Shin-Osaka takes just 15 minutes by shinkansen (bullet train). If you already have a JR pass, it’s a great way to save some money on expensive Kyoto hotels AND make your rail pass go further. If you only have a few days, it may make more sense to stay in Kyoto. But given that it could take you even longer to get across the city, it may be both cheaper and faster to stay in Osaka. Plus, there are plenty of day trips with the JR pass that are easier from Osaka than Kyoto. My advice is to have a look at the options and see what looks best for you.